Henley Honda | Safe Driving | Windshield Repair or Replacement? What Do You Need? Windshield Repair or Replacement? What Do You Need? It can happen to the best of us. You’re driving down the highway and you hear the dreaded sound of a rock hitting your windshield. Sure enough, there’s a crack or chip and you’re going to have to do something. But how do you know if you can repair your windshield or if you need to replace it? If the chip or crack is small (the rule is, smaller than a dollar bill), you are safe to simply repair your vehicle’s windshield. 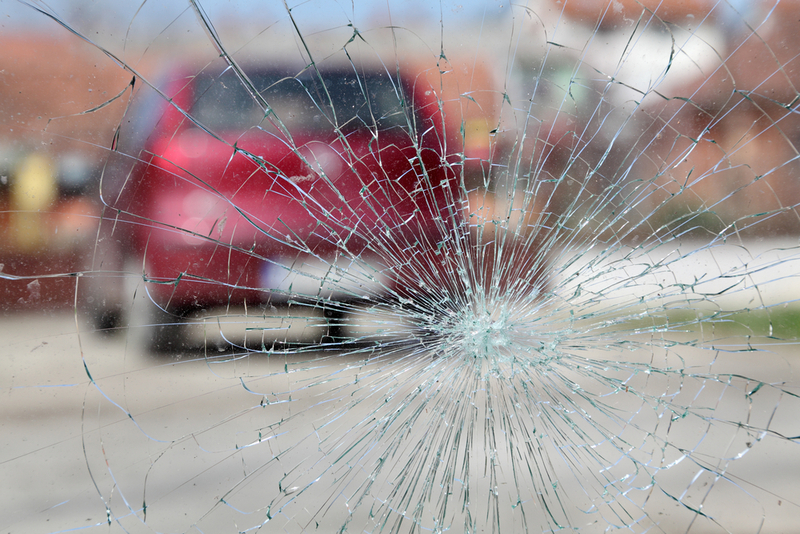 A windshield repair doesn’t involve removing the windshield at all and is quick and easy — only about 15 – 30 minutes. It is also relatively inexpensive and your auto insurance may even cover the cost as they prefer a repair than a replacement. When your vehicle’s windshield is repaired, a licensed technician may drill into the chip in your auto glass to allow the resin to flow easier. Then, the technician vacuums the air out of the damaged spot and injects a resin in to seal the crack or chip and keep moisture and debris out. Usually the damage in almost invisible when the repair is complete. A windshield replacement is much more intense. The entire windshield has to be removed and your vehicle is fit for a new one. Usually removing the old windshield takes enough force to break it. After the auto glass installer removes your damaged windshield, the vehicle’s frame has to be cleaned and prepared before urethane is applied to secure the new windshield. The replacement is significantly more costly and takes about 45 – 60 minutes, not including the time you have to wait to drive your vehicle while the urethane cures — which can take a few hours. If there is a cmall chip or crack, act fast. There’s no point in ignoring it — it won’t go away and it will get worse. The sooner you have it looked at, the more likely you will be able to have the auto glass repaired rather than having to go with the lengthier and more costly replacement. Your windshield is not one solid piece of glass. It is made up of two layers with a layer of vinyl between them. When or if moisture gets into your windshield through the crack or chip, the vinyl can be damaged, weakening the windshield and compromise your safety.